Many people think that personal finance blogs are only relevant to individual needs, but this is far from the truth. In fact, managing your personal finances is a business and many Americans are failing miserably at it. in the United States live paycheck to paycheck. The average savings rate is less than 2% while more than 50% of baby boomers have less than $50,000 saved for retirement. If personal finance were a business, there would be a plethora of bankruptcies in the US alone. To make matters worse, we don’t know how to manage our own personal finances, so we trust our money and investing to other people that we think are professionals. They don’t really do much better than we can on our own, except that they charge us all kinds of fees for their expertise. At the end of the day, managing your personal finances is no different than running a business. You have to set up and manage a budget, monitor cash flows, keep an eye on debt levels, manage your credit and make decisions about investments you want to make. One common topic on personal finance blogs is credit repair or improving credit scores in general. While the blog may be geared towards personal credit score improvement or repairing credit, the same strategy can be used for a business. Credit scores are determined in the same manner and repairing a business credit score is the same process. Another common post type on personal finance blogs deals with managing a budget. Personal budgeting is the same as business budgeting, except that it can be much simpler than some more complex businesses. At the end of the day you are just managing your income vs. your expenses. In personal finance your income is mostly derived from your job and the paycheck that you receive. Your expenses consist of utilities, loan payments, credit payments and other various costs. In business your expenses more or less are the same except that you have the addition of employees and the costs associated with that. Your income is similar except it’s derived from your businesses product or service sales. When it’s all said and done, learning how to manage a budget in either category can translate well into the other. Another popular topic on personal finance blogs is managing debt and learning about loans. While the articles on personal finance blogs are usually focused on houses and cars, the same principles can be applied to business loans that need to be made for property, plant and equipment investments as your business grows. Now that I’ve given you a strong case for the value of learning about finance and investing from personal finance blogs and how that same education can help you in business, you need to find blogs where you can find the information. The easiest way is to look for blogs that post current lists of top personal finance sites. Modest Money is one such blog that publishes a regularly updated list of the best personal finance blogs on their website. This list ranks personal finance sites based on social media presence, SEO scores and traffic to the site. This is a great place to start your search for great websites to learn valuable finance and investing skills or other ideas that can also help you in business. Thank you for this amazing article which help me a lot! I’m looking forward to hear more from this blog! I didn’t make the connection between personal finance and business, but you’re right they are very much related. you can in-return ask to see the results. They won’t give it to you all the time, but I’ve had success with this in the past. This was a very helpful article. I especially liked the Store Wealth, Increase Income and Cut Expenses, Store Wealth strategy explanations. Thank you for such a thoughtful and informative article. Before read your blog, i was very tense regarding my business but now i am feeling well & Your article really helpful for me. Now i am earning more much money before reading your blog. Thanks you very Much. I’ve been writing about personal finance on my blog since 2010. The great thing about personal finance blogs is they bring a “personal” touch to finance. It’s easy to state a theory about how to do something, but it is much hard to expose the applications of those theories like the writers of most personal finance blogs. 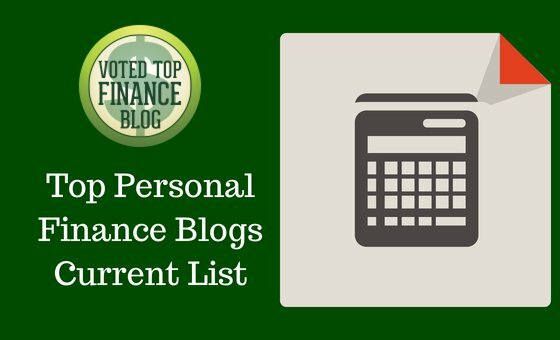 Thanks for the shot out for us personal finance bloggers. it is such a nice article and it is helpful to increasing the business. Thanks for the post! I’m reading it, i keep an accurate personal finance… and for bussiness too. If you need assistance finding any particular information just ask. Budgeting is important in business and personal life, so it makes sense. Building credit and maintaining is important in both personal and business life. Informative Article. Video is awesome. I got more idea about Finance Blog. Thanks for sharing good info here. Almost all countries are going through bad economic situations, and saving is really essential for every individual. I would certainly go through the blog and see how I can improve my savings and reduce expenses. Well, the financial problem has become the most fundamental problems. Where we have to manage the money in and out. This article is great for beginners who are learning to manage finances for yourself. Moreover, the personal finance blog will be help again. I agree with you fully on this article. Finance today is worse than it has ever been for the average person. It seems instead of the credit card businesses getting better; they are constantly asking for new applications and therefore putting people in danger of too much revolving changes. I worked in mortgage lending for 30+ years and still do contract underwriting sometimes. Not much has changed since the mortgage meltdown. People are still in debt. Thanks for writing this article. I didn’t make the connection between personal finance and business, but you’re right they are very much related. In a sense, your personal finances are a mini business. Yes, finance is pretty much finance, at least at the basic level. Thanks for taking the time to comment.